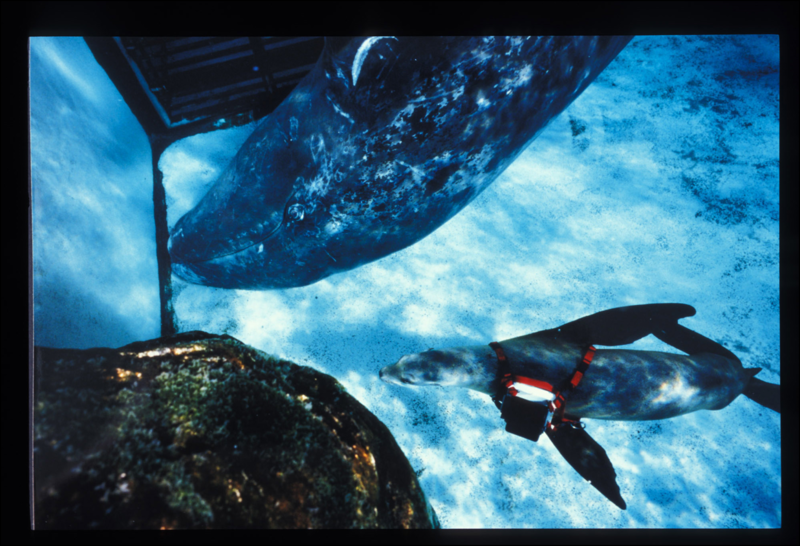 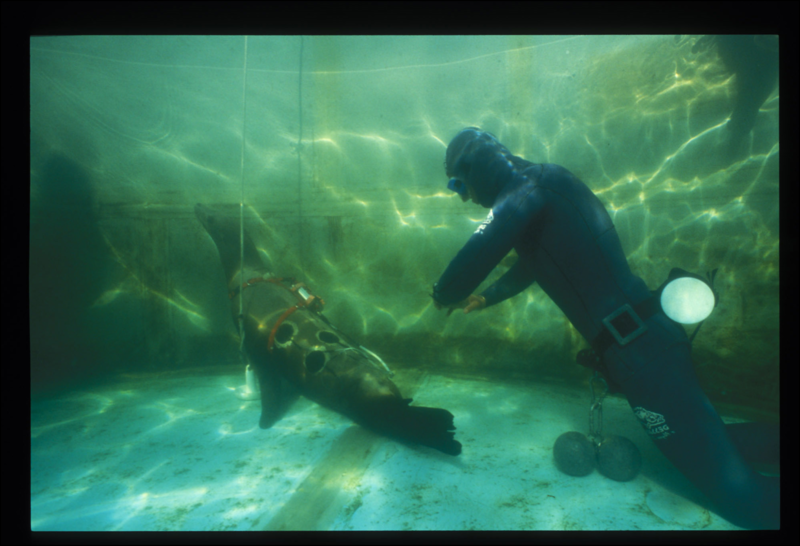 In March of 2001 two of the sea lions began participating in a study comparing dive physiology (including heart rate, blood lactate, and effects of instrumentation) between pinnipeds and humans. 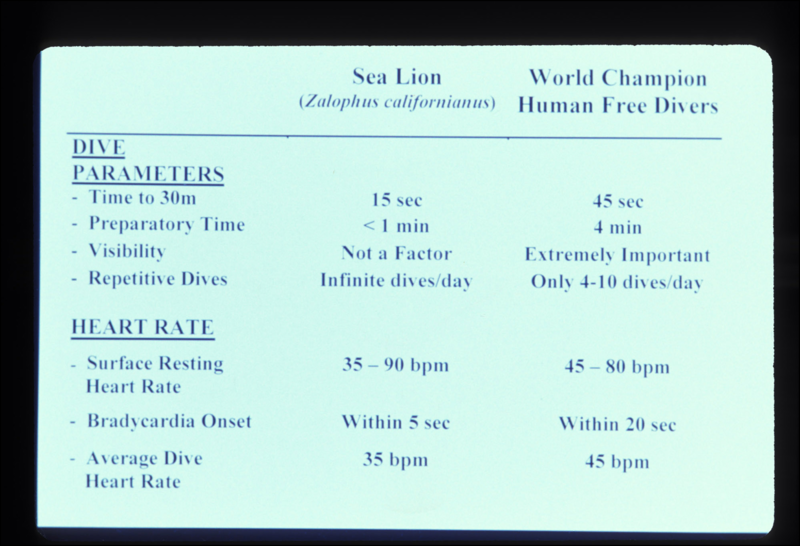 Some of the best human free-divers from Europe (including: Loic Leferme and Pierre Frolla), participated in the investigation in Moss Landing to make comparisons side by side with our sea lions in the ocean, diving to depths of up to 100 ft. Heart rates were similar in overall bradycardia, however the onset of bradycardia was more rapid in the pinnipeds. 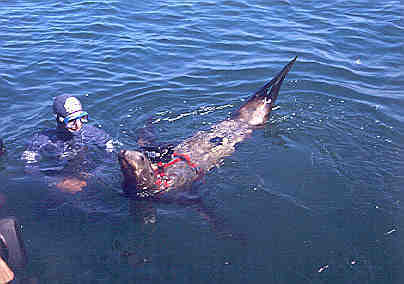 SLEWTHS still took their sea lions out to the open ocean for other research projects until 2002. 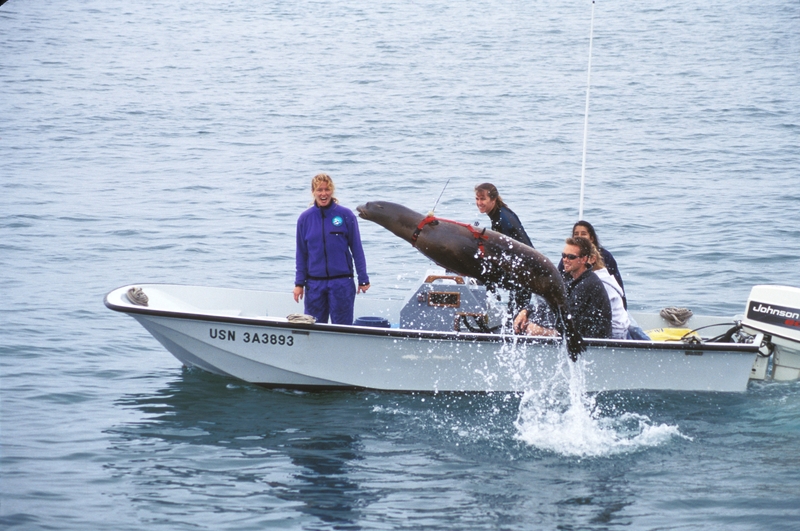 The SLEWTH project continued to explore, until 2002, applications of the sea lions performing as ocean survey tools with subjects ranging from archeology (working with Texas A&M Institute of Nautical Archaeology) to benthic community monitoring. 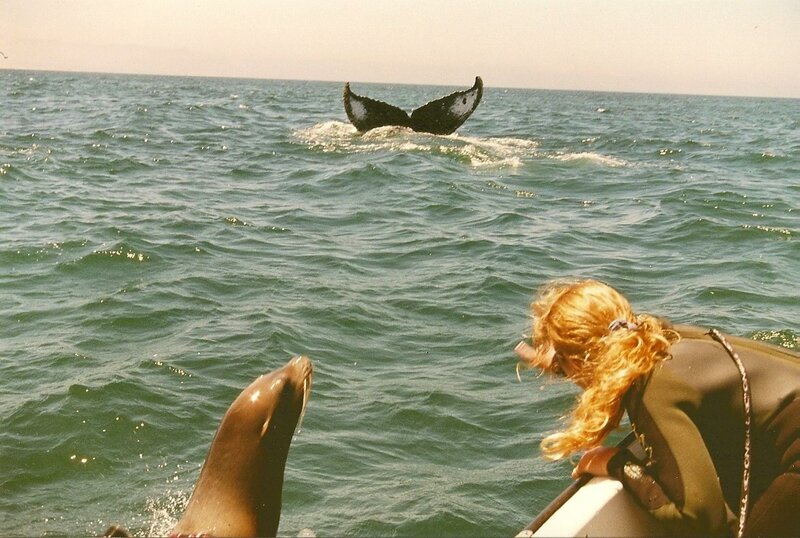 This work was canceled as it was cost-prohibitive.